Тhe St. Nicholas Cathedral of the Diocese of Canada in Hamilton, Ontario, together with the faithful awaited an unsual jubilation on Sunday, October 21, 2018. The parishioners rejoiced at the arrival of their diocesan bishop His Grace Bishop Mitrophan of Canada who on the Sunday we commemorate the Holy Fathers of the VII Ecumenical Council, served the Holy Hierarchical Divine Liturgy. Concelebrating were V. Rev. Stavrophor Stevan Stojsavljevic, V. Rev. Stavrophor Prvoslav Puric and V. Rev. Djuro Samac and Deacon Aleksandar Mitrovic. In his homily His Grace spoke of the Sower who sows his seed (Luke 8:5-15), reminding us of the Holy Fathers of the 7th Ecumenical Council who during their time, which was in no way easy, despite persecutions and the dangers they faced, continued to sow the seed of God's word, firmly and without fear. Thanks to them, in the first place, we have icons today to use in our prayers to the Lord God, the giver of all things. On that day the Kolo Sestara "Kraljica Milica" celebrated their Slava, St. Petka. This Kolo is the oldest Kolo in North America, founded in 1934 when King Alexander was assissinated in Marseille. The Kolo was named after the King's wife, Milica. 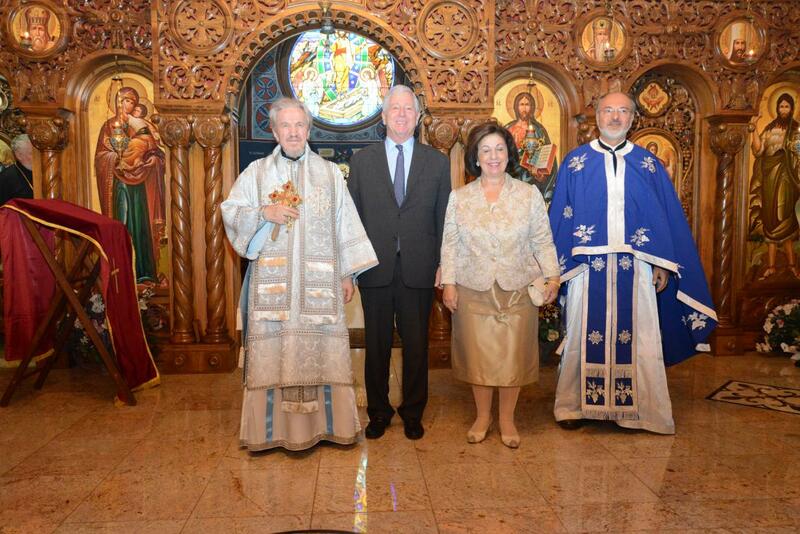 The second reason for joy in the Serbian community in Hamilton was the visit to the St.Nicholas Cathedral of His Royal Highness Crown Prince Alexander Karadjordjevic and his wife, Princess Katherine. 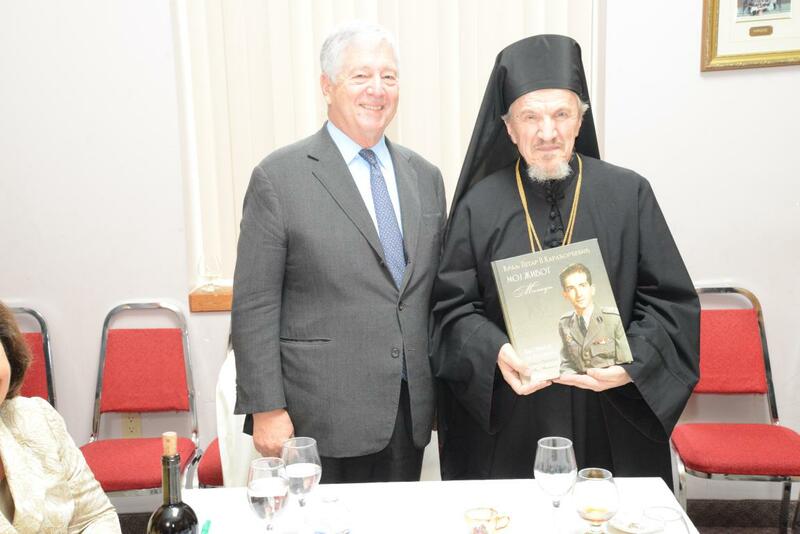 Through the efforts of the Kraljica Milica Kolo and the St. Nikola Kolo, and with the cooperation of the Lifeline Organization a fundraising banquet was organized at the St. Nicholas Cathedral. HRH Crown Princess Katherine is the patron of Lifeline. 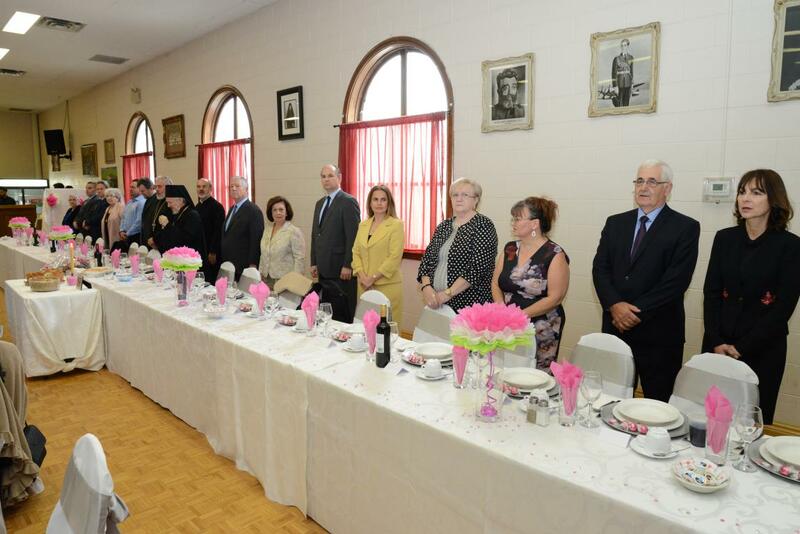 Two hundred and fifty guests attended the affair, offering greetings were Miroslav Cucuz, the church board president and Ruza Loncar of the Kolo Sestara. To the sound of thunderous applause Crown Prince Alexander and Princess Katherine addressed the audience, thanking them for their help for the organization. 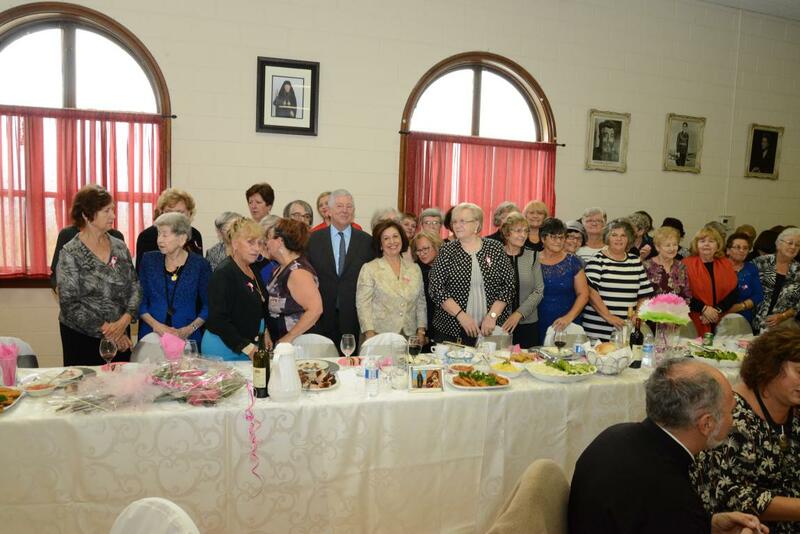 All the proceeds from the banquet went to the purchase of devices for early detection of breast cancer, which are badly needed in Serbia.